In life, setting the right boundaries is very important, and at Edisons, you’ll find all you need to create that perfect perimeter. You can count on Baumr-AG Fence equipment to produce high-quality fencing for your home or business. Protect your family, pets and farm animals, beautify your garden and keep your personal belongings safe. 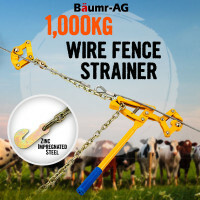 Helping you achieve absolute function with less worry, Baumr-AG Fencing tools are among the best fencing products you’ll find online. The fence post lifter/puller is convenient, easy-to-use and compatible with common metal fence post types. Made of commercial powder-coated steel, it removes posts effortlessly and quickly. Producing a 10cm lift with every push, it can lever posts straight up while applying maximum lift at the base. It’s the perfect tool for pulling Y-posts, T-posts and star pickets out of tangled root systems and hard soils. The chain wire-strainer is intended to give you more pull when assembling your wire fencing. Designed to produce high strain with minimal effort, it’s compatible with both plain and barbed wires. Made of industrial-strength zinc-impregnated steel, it can swivel for right- or left-handed operation, and offers a massive 1 Tonne of tension with no effort. 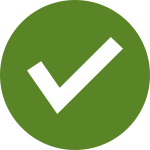 For those who wish to build fences in Sydney or other Australian locations, be sure to check out the other high quality garden machinery products at Edisons. Choose from a wide variety of items such as Post Hole Diggers, Stump Grinders, Tillers, Spreaders, Trenchers, Wood Chippers, Log Splitters, Dump Carts and so much more. Order Baumr-AG Fence equipment today and give your back a well-earned break!